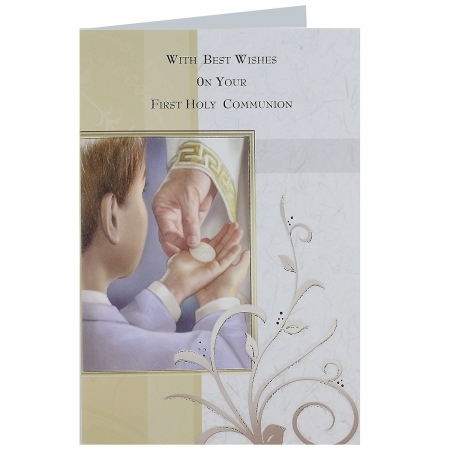 First Holy Communion greeting card has the print of a boy receiving First Holy Communion. The size of the card is about 11.5 cm x 17 cm. Inside text reads: "May Jesus come to bless you on your First Communion Day. May you feel His loving presence in a very special way. And as you strive to follow in His footsteps may He bless your life with many graces and lasting happiness."